It's not fun when you snip the end of your finger with your scissors. And I wasn't even running with them! 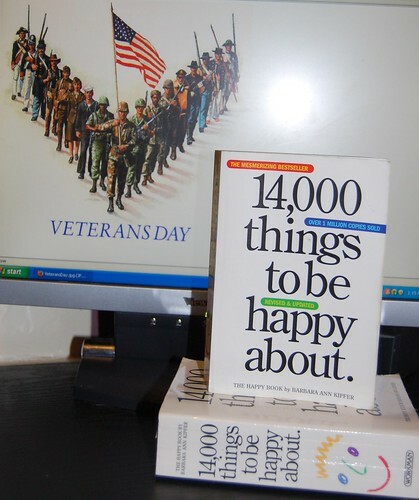 In honor of Veterans Day, all you have to do is comment with a page number between 1 and 611, and another number between 1 and 25, and my fingers will march through the pages of one of these books to find you some happiness. Well, except for that ONE finger. Thank you to all those who've served.